The riveting story of two sets of identical twins separated at birth and improbably reunited as adults, a dream case for exploring nature and nurture. 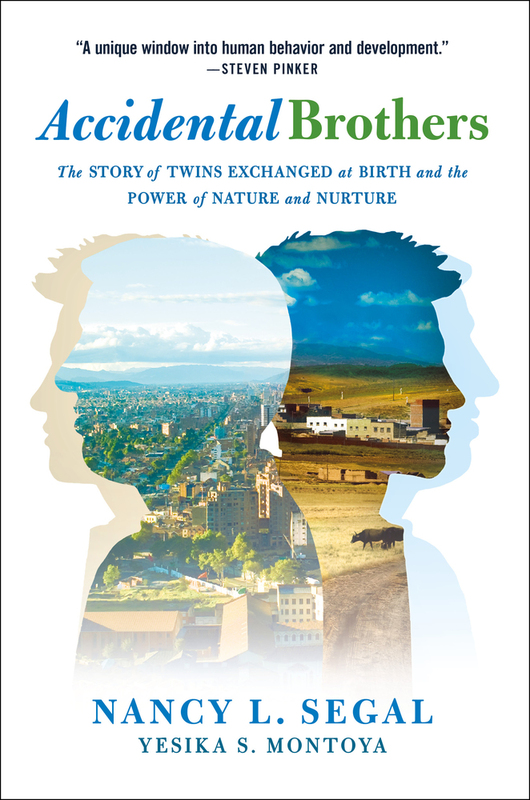 Accidental Brothers tells the unique story of two sets of identical Colombian twin brothers who discovered at age 25 that they were mistakenly raised as fraternal twins—when they were not even biological brothers. Due to an oversight that presumably occurred in the hospital nursery, one twin in each pair was switched with a twin in the other pair. The result was two sets of unrelated “fraternal” twins—Jorge and Carlos, who were raised in the lively city of Bogotá; and William and Wilber, who were raised in the remote rural village of La Paz, 150 miles away. Their parents and siblings were aware of the enormous physical and behavioral differences between the members of each set, but never doubted that the two belonged in their biological families. Everyone’s life unraveled when one of the twins—William—was mistaken by a young woman for his real identical twin, Jorge. Her “discovery” led to the truth—that the alleged twins were not twins at all, but rather unrelated individuals who ended up with the wrong families. Blending great science and human interest, Accidental Brothers by Nancy L. Segal and Yesika S. Montoya will inform and entertain anyone interested in how twin studies illuminate the origins of human behavior, as well as mother-infant identification and the chance events that can have profound consequences on our lives. DR. NANCY L. SEGAL is Professor of Psychology at California State University, Fullerton (CSUF) and Director of the Twin Studies Center, which she founded in 1991. Dr. Segal has authored over 200 scientific articles and book chapters, as well as several books on twins, including Born Together-Reared Apart: The Landmark Minnesota Twin Study. Dr. Segal was recognized by the Orange County Register as one of the hundred most influential people in Orange County, California in 2014. Yesika S. Montoya has a psychology degree from the Universidad Santo Tomas (2000) in her native country of Colombia. She also received her Master of Social Work degree from Fordham University (2005). Ms. Montoya has clinical work experience providing psychotherapy to children, adolescents, adults, and people affected by homelessness, mental illness, chemical addiction and HIV. Ms. Montoya worked with the rescue, recovery and clean-up workers after the 9/11 attacks in New York City. She is currently employed in higher education as an Associate Director of Advising and an adjunct faculty member at the Columbia University School of Social Work.